In a medium bowl, mix soy flour, sugar, marmalade, water well until mixture is smooth. In a large bowl, mix ground nuts, flour, salt, vanilla, and spice mix. Add contents of other bowl and chopped peels or dried fruit. Mix well to form smooth and moist dough. Refrigerate 1 hr, or preferably, overnight. Line baking tray with baking paper. Top a baking wafer with a heaping tablespoon of dough. Press down to form round and mostly flat cookies. Repeat with rest of the dough and wafers. Place well-spaced on baking tray. No baking wafers? Form flat and round cookies with a spoon and place directly on baking paper. Bake for 12 to 15 minutes. Note: Cookies will still be soft and similar shape when done. Melt chocolate in medium pot set into larger pot of hot water. 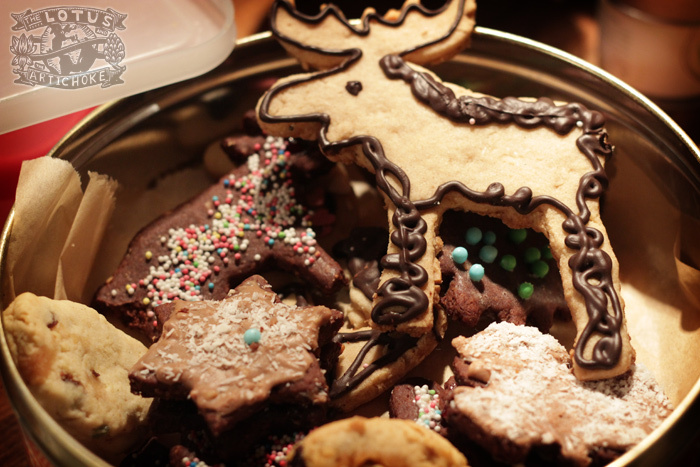 Apply melted chocolate with spoon or baking brush on cooled cookies. Garnish carefully, let cookies dry. Mix water and sugar in small pot on medium heat until sugar is dissolved. Allow to cool. Brush on/pour over with spoon on cooled cookies. Garnish carefully, let cookies dry. Whisk powdered sugar and coconut milk or soy milk in small bowl. Mix well until thick and creamy, adding sugar or liquid as needed. Spread icing over cookies with spoon to fully cover. 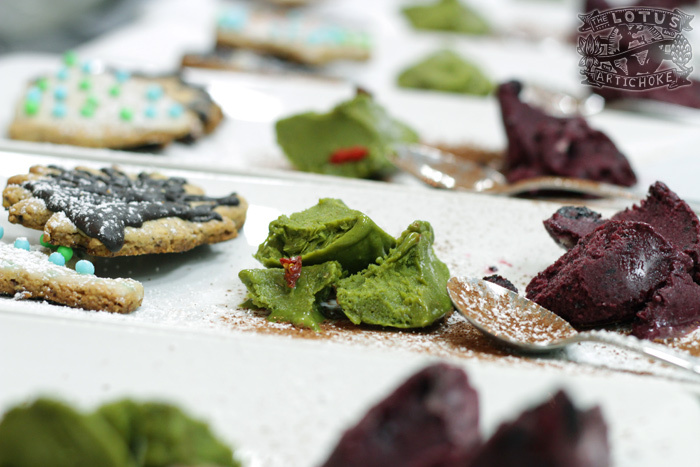 Garnish carefully, let cookies dry. 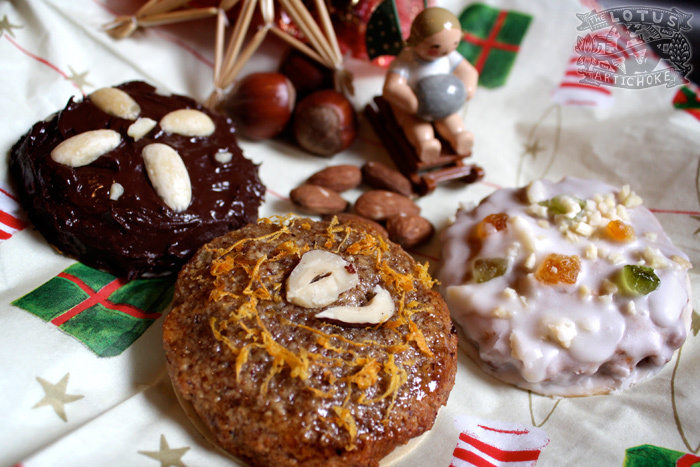 This entry was posted in German, Sweets and tagged Christmas, cookies, German, lebkuchen, recipe, vegan. Bookmark the permalink. Love your book, hope there will be a second one someday!